BSP supremo Mayawati finds herself in middle of a controversy over her 'don't vote for Congress' remarks made at the Deoband rally in Uttar Pradesh. 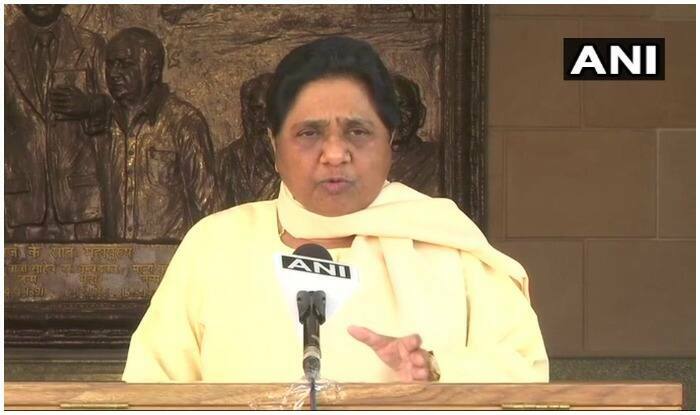 New Delhi: Former Uttar Pradesh Chief Minister Mayawati’s speech at the SP-BSP-RLD rally in Deoband on Sunday has landed her in a soup with the UP Chief Electoral Officer, who has taken cognizance of the matter and sought a report from the concerned authorities. Addressing a joint rally of the SP-BSP-RLD, the BSP supremo appealed the minorities, especially the Muslims, to vote for the ‘Gathbandhan’, saying that Congress is busy dividing the vote bank as they want to defeat the grand alliance. “Don’t get divided, vote en masse for Gathbandhan. We have BSP vote in every seat, SP is also mobilised. If Muslims want BJP to lose, they have to stand firmly behind Gathbandhan,” Mayawati said. Uttar Pradesh will vote in all seven phases as it sends 80 lawmakers to the Parliament, making it the most crucial state electorally.